Dan Zhang just had his career bar mitzvah. Zhang, 30, interned at Apple (AAPL) and Intel (INTC) before landing a full-time engineering role at another big tech firm last year. 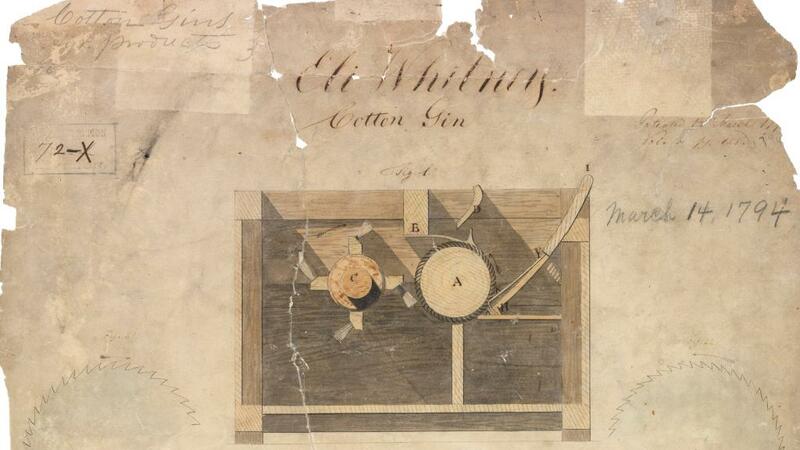 This spring, he finally checked off a key item on his bucket list: filing his first patent. Zhang says patents offer "some objective evidence" that you're an expert in your field and serves "as a trophy, or a piece of bragging rights." He isn't alone in this view. While patents are intended to protect intellectual property, they're also seen in the tech industry as a way to brand companies and their employees as being more innovative. "To some extent, they are trading chips," says Mark Lemley, a law professor at Stanford and director of the Stanford Program in Law, Science and Technology. "We count them because they represent innovation, not because they are a powerful legal right." On Tuesday, the US Patent and Trademark Office announced issuing its 10 millionth patent, for a "Coherent Ladar Using Intra-Pixel Quadrature Detection" from Raytheon. Yes, it's a mouthful. A good chunk of those patents comes from the tech industry. Apple, Microsoft (MSFT), Intel, Google (GOOGL), Qualcomm (QCOM) and Samsung (SSNLF) were each granted more than 2,000 patents last year, ranking them among the top 15 patent recipients in the US, according to IFI Claims Patent Services, which tracks patent data. No company has been more prolific with patents than IBM (IBM). It received 9,043 patents in 2017, marking its 25th consecutive year of dominating the patent rankings -- a fact IBM is not bashful about sharing. This year, it is on pace to top 10,000 patents, according to projections provided to CNNMoney by IFI Claims. 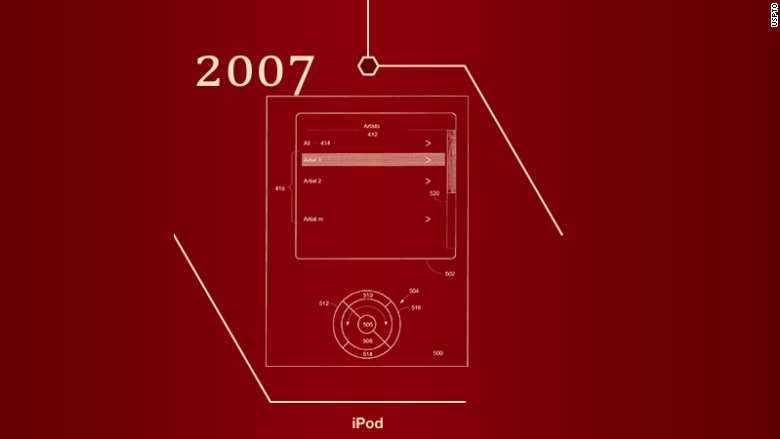 Apple's late CEO Steve Jobs received U.S. patent number 7,166,791 for a "graphical user interface" for the iPod. 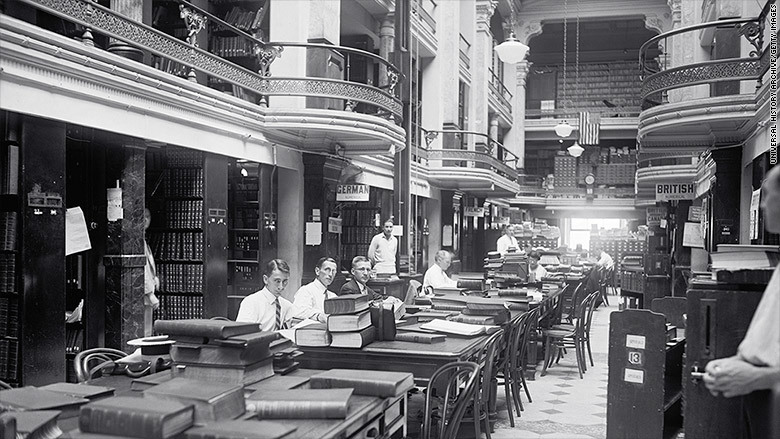 These patents can be used for licensing, or as a defensive measure against litigation. Manny Schecter, chief patent counsel at IBM, says the sprawling patent portfolio also helps brand IBM to potential customers and employees as "an innovator," potentially boosting sales and recruiting. "Patents are sometimes used as a currency for innovation," Schecter tells CNNMoney. "That's because it's hard to otherwise quantify the amount of innovation that's going on." To be sure, patents played a key role in the smartphone wars that dominated Silicon Valley in recent years. Apple and Samsung have been engaged in a years-long legal showdown over software and design patents. In 2012, Google spent $12.5 billion to acquire Motorola Mobility, giving it access to a treasure trove of patents. But changes in the law over the past decade have only made it harder to get an injunction or win large sums in damages, says Michael Risch, a patent law professor at Villanova University. "Patents are just not as valuable as they used to be," he says. 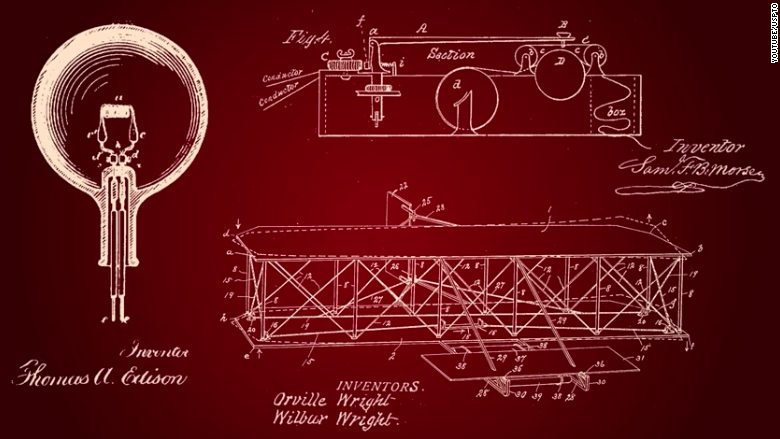 Several classic patents, including Wilbur and Orville Wright's patent for a "Flying Machine." That hasn't stopped tech companies from aggressively filing patents. Google, Apple, Amazon (AMZN) and others are pushing forward with a range of new patents touching on artificial intelligence, cloud computing, drones and virtual reality, according to an analysis of patent activity late last year from CB Insights. "I do think more recently, companies -- especially startups -- are realizing that just being a cool application is not enough," says Ethan Kurzweil, a partner at Bessemer Venture Partners. They want to be "inventing some core piece of technology, whether it be AI, machine learning, autonomous driving, or computer vision. ... Patents will matter a lot more in those contexts." Tech companies make sure to reward employees for filing patents. Depending on their division, IBM employees may get a bonus, a plaque or certificate, or even have their picture featured in an IBM building or on the website, Schecter says. Zhang says he's also seen companies give out small cash rewards as well as "decorative marble cubes that say, 'Congratulations.'" More than the money or the trinkets, Zhang says it's about the sense of "validation" the patent provides. "It shows this is what I accomplished. I've been recognized by the US government for this accomplishment."